A 2012 FORD MUSTANG CONVERTIBLE WITH A CLEAN CARFAX. CAR RUNS AND DRIVES OUT WELL AND IS IN OVERALL GOOD CONDITION. 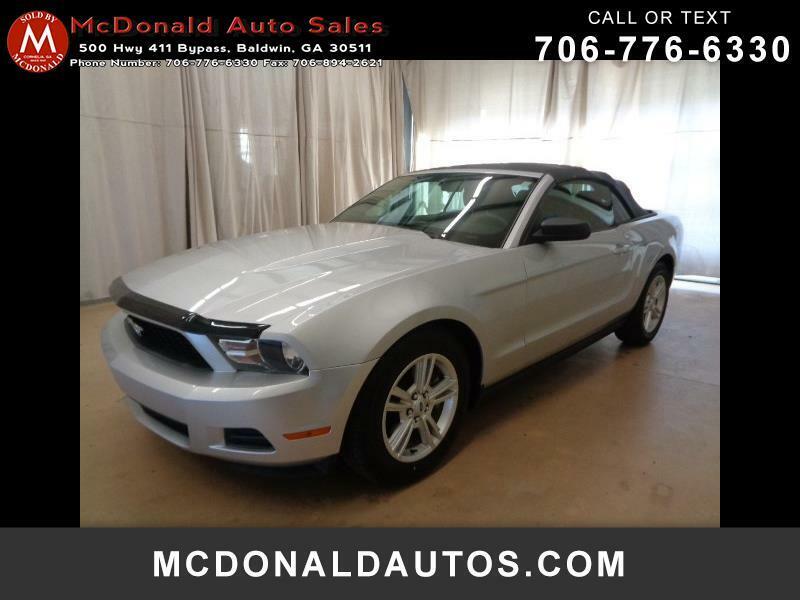 COME SEE IT TODAY AT MCDONALD AUTO SALES IN BALDWIN GA OR CALL US AT 706-776-6330.